Historian, filmmaker and broadcaster, Michael Wood is the author of several best-selling books, including four UK Number One bestsellers, and well over one hundred documentary films, among them In the Footsteps of Alexander the Great and The Story of India, which the Wall Street Journal described as ‘still the gold standard’ of documentary history-making. 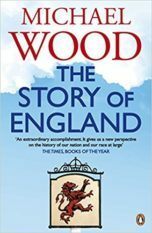 His Story of England, which told the tale of one village, Kibworth in Leicestershire, through British history, was called by the Independent ‘the most innovative history series ever on TV’. 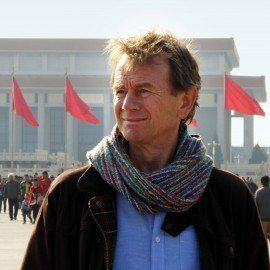 Of his Story of China (BBC2, 2016) the state news agency in China, Xinhua, said it had ‘transcended the barriers of ethnicity and belief and brought something inexplicably powerful and touching to the TV audience’. In 2013 he became Professor of Public History at the University of Manchester. Michael is a Fellow of the Royal Society for the Arts, the Royal Historical Society and the Society of Antiquaries. He recently received the British Academy President’s Medal for services to History and outreach. Simon and Schuster will publish The Story of China in 2020.